When you own a home or business, you will probably find yourself in need of a plumber at some point. While plumbing problems are the type of issue that no one wants to deal with, they are an unfortunate reality. When you need a trusted plumber in Brighton NY, we can help. We have been serving residential and commercial customers throughout the region for several years, and we are proud to offer a complete range of expert plumbing services. Whether you are tired of listing to the constant drip, drip, dripping of a leaky faucet or you’re facing a more serious dilemma like a backed-up sewer line, our expert plumbers are here to help. When you need a plumber in Brighton NY, you need someone you can feel comfortable welcoming into your home or business. At GT Campbell, we hire only the best technicians, and we perform extensive background checks and drug testing to ensure that they are people that we – and more importantly, our customers – can trust. We believe in treating our customers right and showing both them and their homes the utmost respect. We provide honest, upfront pricing to avoid unpleasant surprises, and we work with our customers to determine the best possible solutions. Our team has decades of experience and all the tools and equipment necessary to get the job done right. We stand behind our services and make your satisfaction our primary concern. 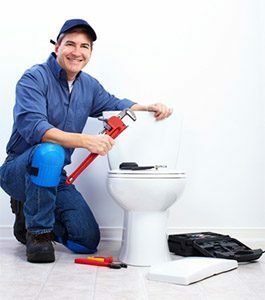 If you are looking for a plumber in Brighton, don’t waste your time with the other guys. Contact GT Campbell today to schedule an appointment with a company you can trust.